Full Service, for a fraction of the cost! Why pay more? Port Moody – City of the Arts! – is located at the head of Burrard Inlet and at the foot of Eagle Mountain. A vibrant city of 34,000, Port Moody is located an easy 40 minute drive from both downtown Vancouver and the US border, and just steps from seaside parks, mountain trails and lakes. Port Moody has always been an area of premium real estate in the Lower Mainland! The city boasts some of Western BC's most prominent homes! 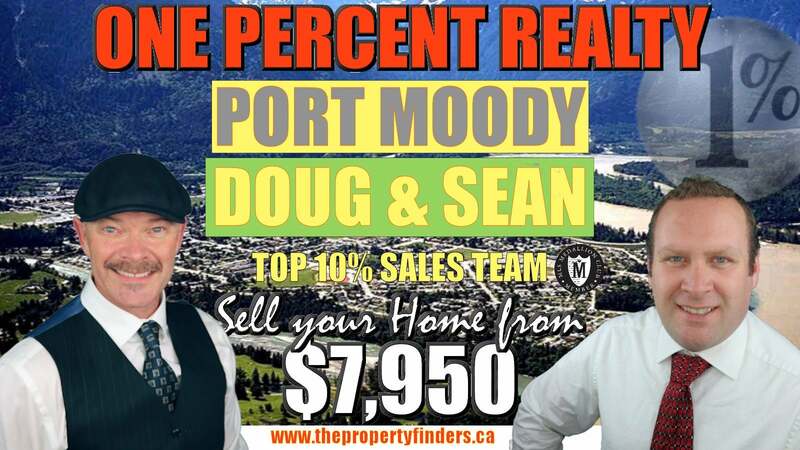 Let One Percent Port Moody, handle all your real estate needs. Find all Port Moody homes for sale, Port Moody condo's for sale, town homes and more! See All Port Moody MLS Listings Bellow - Even Homes Not On The Public System!